The machine has its own built-in motor and does not require a unit stand, so it can be used on a standard table top. The machine is manufactured in the same way as the larger models, with metal components and moving parts assembled in a metal housing. The machine produces a single thread chainstitch, which on the outside of the fabric appears to be hidden. The blindstitch depth is easily adjusted, via the control dial, to suit many types and weights of fabrics. 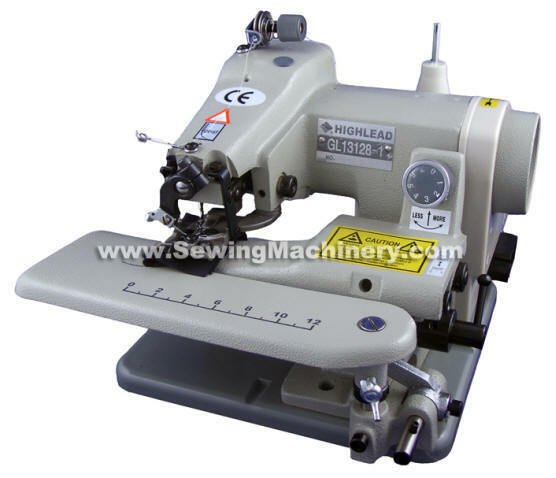 The GL13128-1 portable industrial blindstitch machine makes blindstitching effortless and as well as sewing flat work, you can swing away the front plate to reveal a cylinder arm for hemming small garments, sleeves and the bottom of trouser legs etc..